Online communities are good for both customers and partners. Customer communities are best for service and marketing, while partner communities are perfect for sales and service. The hottest topic in business last year was online communities and communities have now become an easy and popular way to organise people and to accomplish working goals. No wonder there are a number of platforms that allow the creation of an online community. 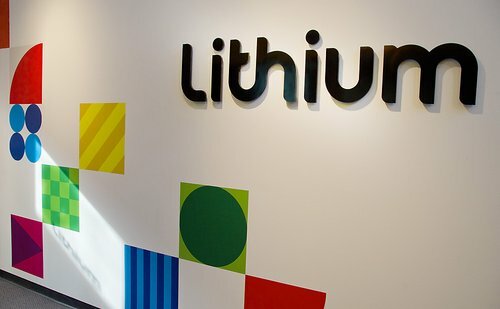 Lithium online communities were created to attract visitors and to support customers. With a Lithium community, you can turn your website into a social destination and reduce the cost of delivering great customer service. In a Lithium community, registered users can receive and read private messages, start their own topics, write blog posts and comments, and receive replies from other registered community users. They can also post ideas and comment on ideas that were posted by other community users. For discussions, comments are also enabled. A community Q&A service allows users to post questions and answers, or simply comment on the Q&A section. On their profile page, users can view statistics for all their actions, like how often they’ve signed on and the number of minutes spent online within the community. The Jive software company has created solutions for communication and collaboration to help people to organise their work better. Jive community is their own product to work with customers. It has a nice UI and rich functionality. To show their presence within the community, registered users can use a “Create” menu, which contains three sections: Content, Places and Apps. The Content Section offers a number of standard actions which are typical for online communities. Community users are able to start discussions and cases, upload files and documents, and embed videos and links from the web. There are also many ways to share content with other users – use Status Update to share what’s on your mind, write a blog post (which will be visible on the user’s profile page and in the feed to a user’s followers), create a Poll to find out community opinion on a topic, or send a private message to ask something specific. Idea allows users to create an idea for other community users to see and vote on – perfect for brainstorming and customer feedback. Event allows users to schedule a gathering. This is an extremely useful feature when it comes to organising events, like conferences, meetings and parties. The owner of the Event states the date, start and end time, maximum number of attendees, location and other event info (type of event: party, meeting, conference, webinar, etc. ; event visibility (open, closed or private); and a description of the event. It also offers the option of attaching files and apps, or just mentioning someone. The second section in the quick menu tab is called Places. This contains a feature called Project, which allows users to set a goal and track its status and tasks. This feature is really powerful and fully customisable. Project allows users to involve other community members and assign tasks to them, attach different files, and create or embed videos. The project owner chooses start and end dates, as well as providing the description. It’s worth noting that the owner of the project can add stream integration – this means it is possible to integrate content from external resources, like Salesforce Chatter, Dropbox Folder, Twitter, Facebook, etc. This is a very convenient and easy way to provide important content and resources to the members of the Project. This is a cloud platform that connects customers, partners and employees directly to the information, experts and apps they need. Business integration: integrate data from any third-party resource right to your community. Personalisation: Community Cloud suggests content based on a member’s interests and behaviour. Customisation and branding right out of the box. Engagement: reward your community members with personal scores and badges. Lightning Community Builder and Templates to quickly build a custom community on the online platform. E-commerce: the online community can be transformed into a place to do business. Topics: collect and present the most up-to-date content on any popular subject. Allows ‘to do’ posts, as well as the ability to ask questions and give answers. It can be used to suggest groups and experts, relevant files and resources. Salesforce files: to place and share documents, videos and presentations. Groups: create groups to manage discussions and share information with the right audience. Registered community users can access the community anytime, anywhere and on any device. Users can have access to articles and discussions, plus they are able to contact the community manager directly, if they can’t find the information they are looking for. The Chatter feed within the community allows users to participate in discussions and shows a list of Cases with questions and comments. Salesforce has a huge advantage over other software platforms, because it grows dynamically and has a flexible pricing policy, which is attractive both to small businesses and to large enterprise companies. In addition to online communities, Salesforce has a number of products that were created for business needs in the areas of sales and marketing. And what is more important, Community Cloud is already integrated within the other Salesforce products. 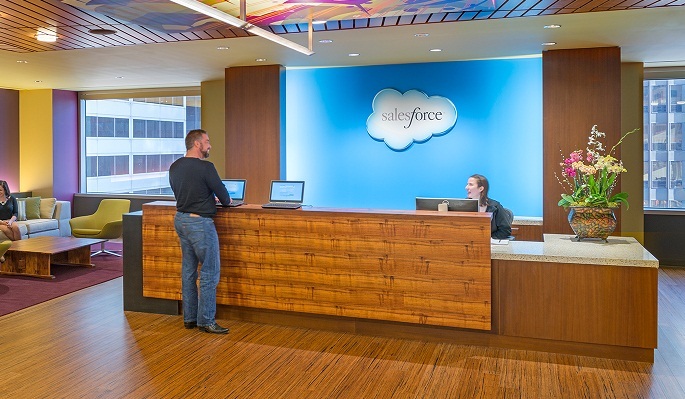 Thanks to Salesforce, it is easier to control working processes and to work with partners and customers.